A marriage vow immortalized by professionals from a discreet distance. 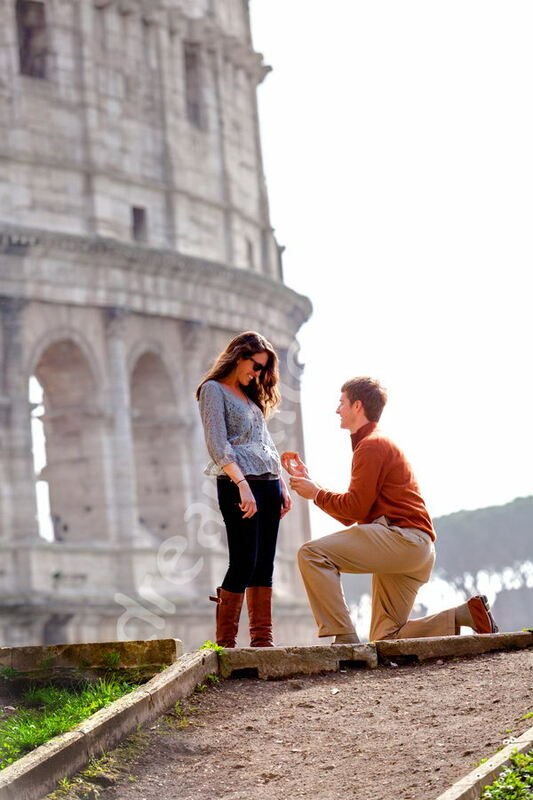 A great deal of effort can go into the preparation of a wedding vow proposal especially if this is done in a faraway city like Rome. And most of all without her knowing! The moment is real, upstaged. Eric knew and they followed me to a precise spot by the Coliseum where I set up some markers on the ground for them to stand. I photographed from a distance trying to capture the right moment lined up with the background. 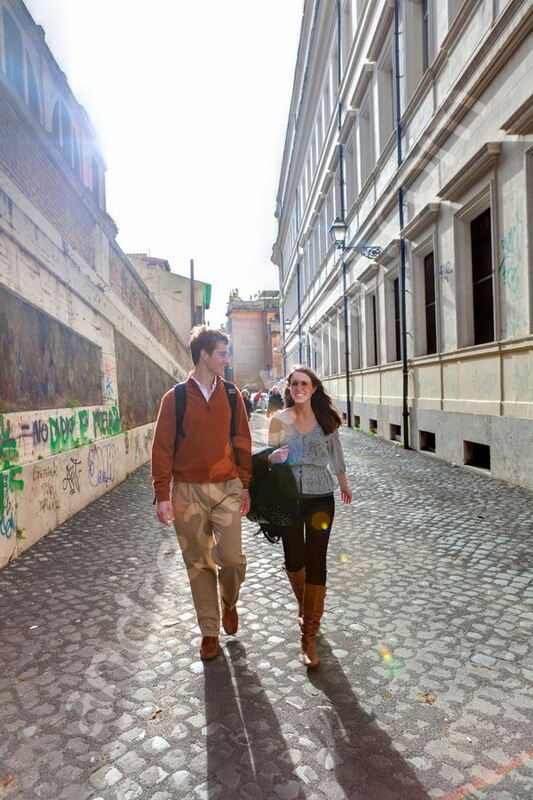 Surprise quickly led to joy and after this special moment was over we finally met and had a chance to continue a little bit with some more engagement photography in the streets of Rome. Thank you Eric, I was honored for the trust and wish both all best! Here is a list of other surprise vow proposal to take inspiration from. The big question asked on a row boat on a small lake. A wedding vow proposal secretly photographed discreetly from a far by professionals. Great joy and surprise with a romantic engagement session. 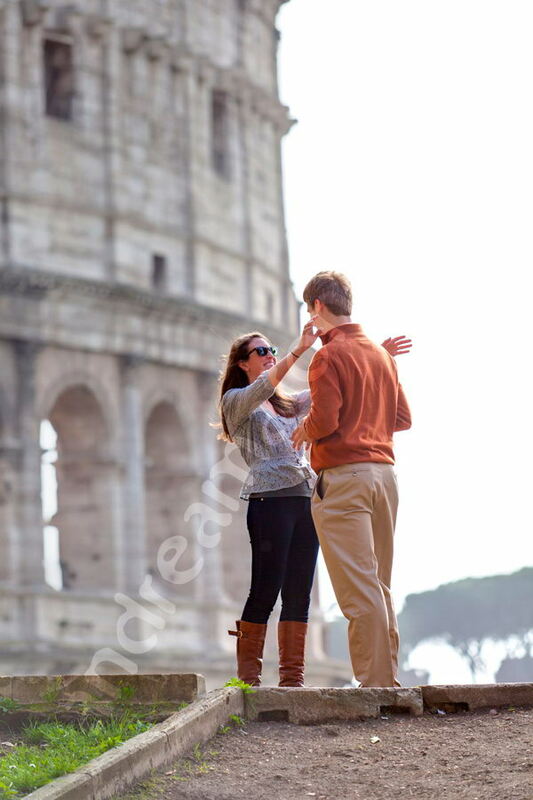 Love the photos of the surprise proposal. Not very many folks think to hire a professional to capture this moment.